The story got even more interesting when the local police sent a Twitter response to Way. It seems like some concerned Tweeps reported the incident. 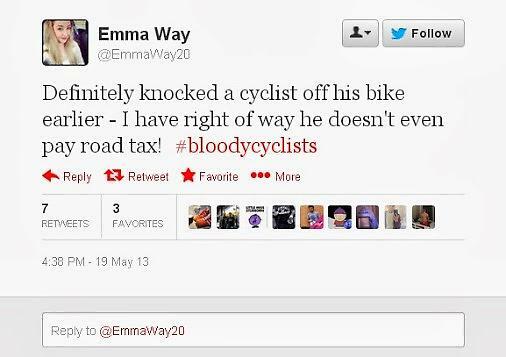 Emma Way deleted her Twitter account as soon as the story started buzzing online and later apologized in an interview with ITV for what is being called now a “Twit And Run” case. Some people underestimate the power of social media.